Although Leanachan and Brackletter may be more well-known in the annals of the Kennedy clan, by the time of the first surviving census returns the Kennedies of Glen Spean - Inveroy, Roy Bridge, Spean Bridge and Bohuntin were numerically superior. Researching them is made more difficult by the fact that many of them were members of the Roman Catholic church whose records in general are not online. 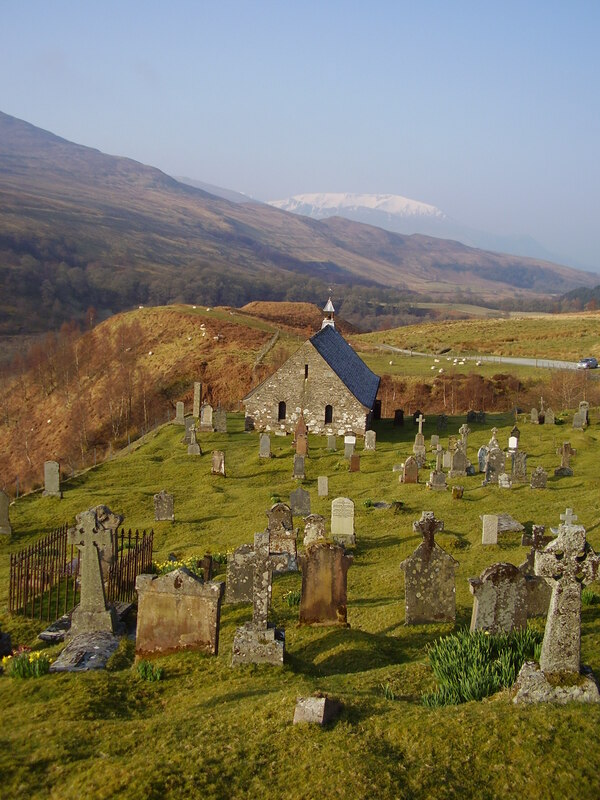 Certainly if we compare the number of Kennedy graves at Cille Choirill, the Catholic burial ground, they far outnumber those at the established church at Kilmonivaig. In theory that means a trip to the National Archives or a long trip to the local Catholic priest and some gentle persuasion, to see the records. In practise there is some overlap with the established parochial registers (OPR), and some of the people you think were Catholic married or were buried outside of the Catholic church for whatever reason. Sadly missed is the late Ann Kennedy McDonell who did some sterling work transcribing the original parish registers and annotated them with various snippets of genealogical information. Although Cille Choirill goes back to the 15th century unfortunately the surviving registers are a lot more recent, with the earliest Kennedy birth/baptism dating from 1828. After seeing Cille Choirill and the current Catholic church of St. Margarets at Roy Bridge I also went to the current Church of Scotland church at Kilmonivaig. This dates from the 1820s and can be found on the A82 half-way between Spean Bridge and the Commando monument. 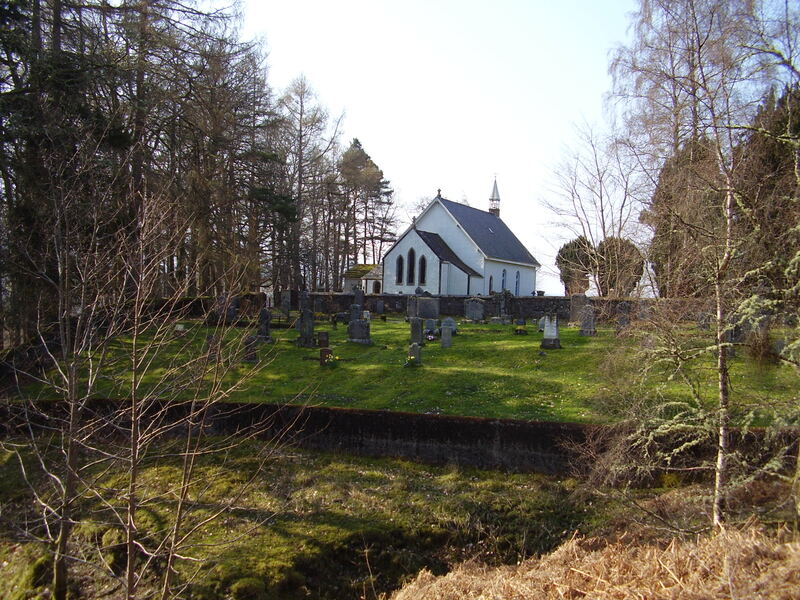 This is a different site from the old parish church of Kilmonivaig which according to old maps was at the confluence of the River Lochy and River Spean, but no trace of which apparently survives. 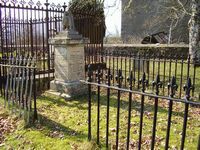 Although there are less Kennedies here, with most of them either getting a Catholic burial or having emigrated, it does hold one treasure, the monument to the Leanachan-Brackletter Kennedy family. The information on this multi-sided stone has been previously recorded in the Monument Inscriptions for Lochaber and Skye pre-1855 so I doubt I found anything that researchers didn't already have, the line having been studied by several people. It was nice to see it in a central position in the graveyard. This family includes the famous Fort William doctor William Kennedy who died from typhus and was previously commemorated by a status in Cameron Square in Fort William, which unfortunately was taken down and destroyed in the 1960s. There are photographs of it in an old book of photographs of Fort William (reference to be added when I find it). The two oldest brothers John and Kenneth never married and were joint tenant farmers at Leanachan. John died there in 1850, his mother in 1853 and Kenneth died in 1858; these three may have been the last Kennedies to live in their ancestral home of Leanachan. With brothers William and Donald marrying but having no children and Duncan only producing daughters, it would seem that this branch sadly has daughtered out. The full size shots of each face of the Kennedy grave are available on request from me but are subject to restrictions on redistribution or publishing and are digitally watermarked. 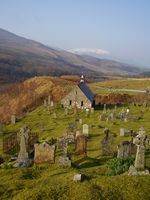 From Kilmonivaig I headed east, taking in The Craigs burial ground in Fort William then the old parish church of Kilmallie and the new Kilmallie cemetery.